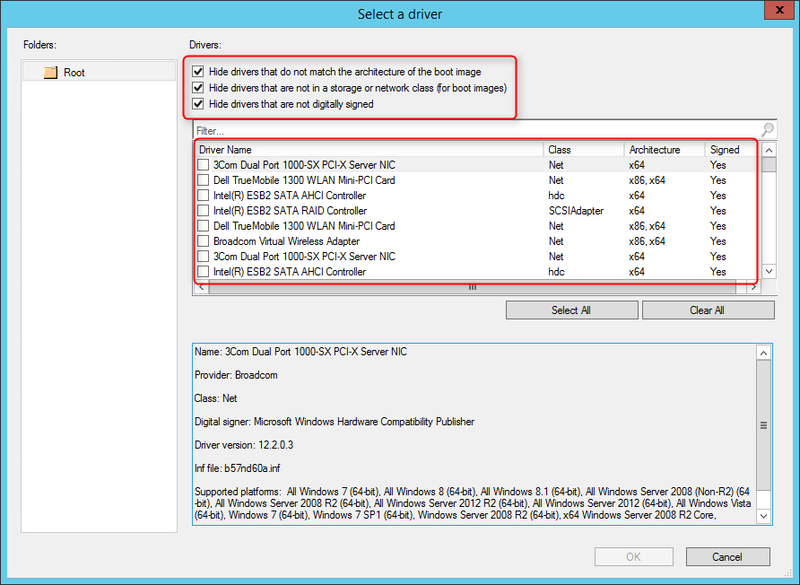 Microsoft announced the release of SCCM 2012 SP2 and SCCM 2012 R2 SP1. This service pack includes tons of new features. 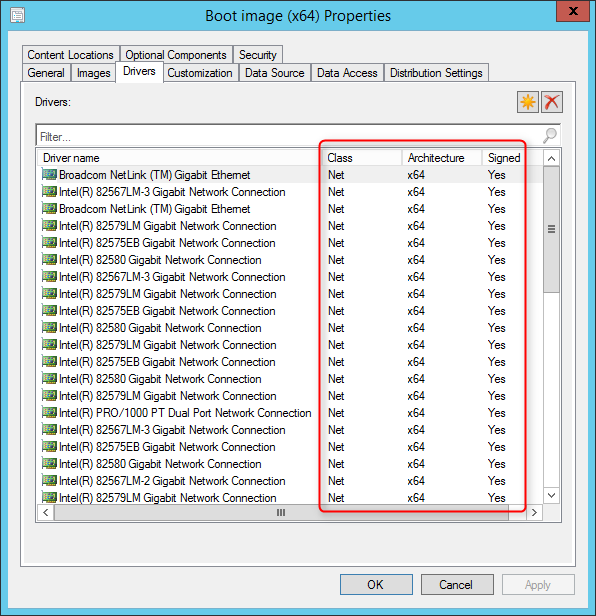 We covered the complete installation, now we decided to compile a list of our favorite SCCM 2012 R2 SP1 new features and we’ll be describing how to enable them and explain why they made the cut. Official description from Technet : Preferred management points enable a client to identify and prefer to communicate with a management point that is associated with its current network location or boundary. 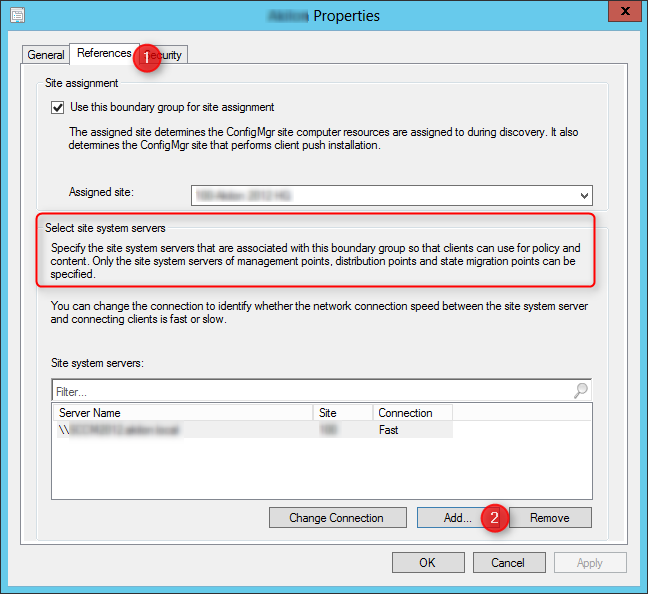 When configured, a client attempts to use a preferred management point from its assigned site before using a management point from its assigned site that is not configured as preferred. Basically it means that you can assign your clients to a preferred management points like you did in the past for content (Distribution Points) using boundary groups. Cumulative Update 3 had a similar concept of Management Point affinity but it was not configurable using boundary groups. 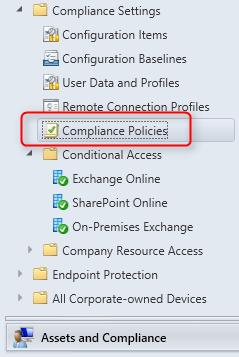 Prior to CU3, if you wanted to assign clients to a specific management point, a primary sites or secondary sites were needed as Management Points are not site aware. Stand-alone MP in your hierarchy was just giving your clients new management point to be assign but they were not forced to use them. This feature could means simplified hierarchy for many organisation. 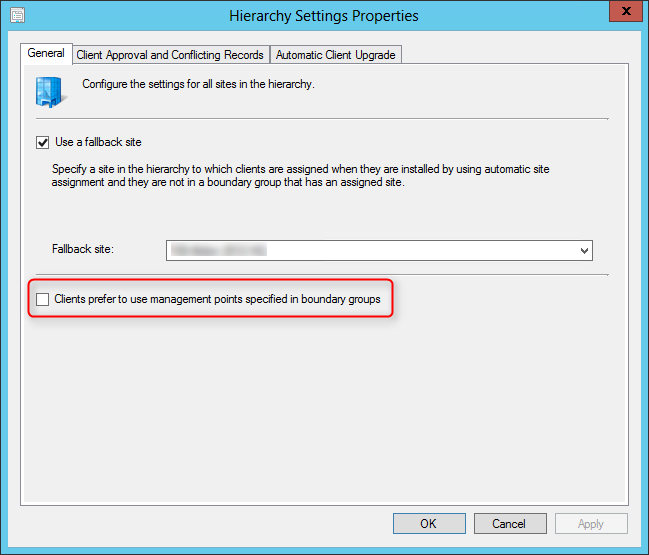 All clients in that specific boundary group will now be using the selected Management Point. Task Sequence logic has been modified to have the ability to configure retry options for when a computer unexpectedly restarts during the Install Application or Install Software Updates steps. 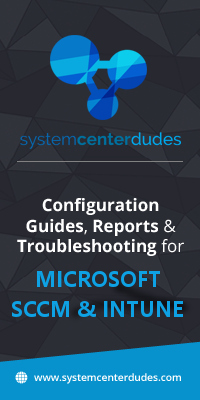 If you’re heavily deploying computer using OSD, you certainly remember the list of software update which requires multiple restart that made your SCCM Task Sequence to fail . 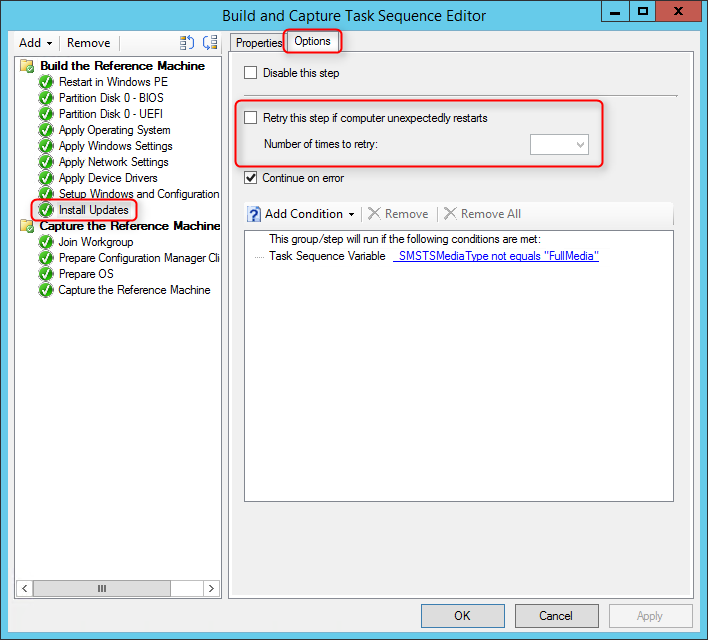 Prior to SCCM 2012 R2 SP1, the task sequence step does not retry and cannot suppress restarts so the software update installation fails if a restart occurs. 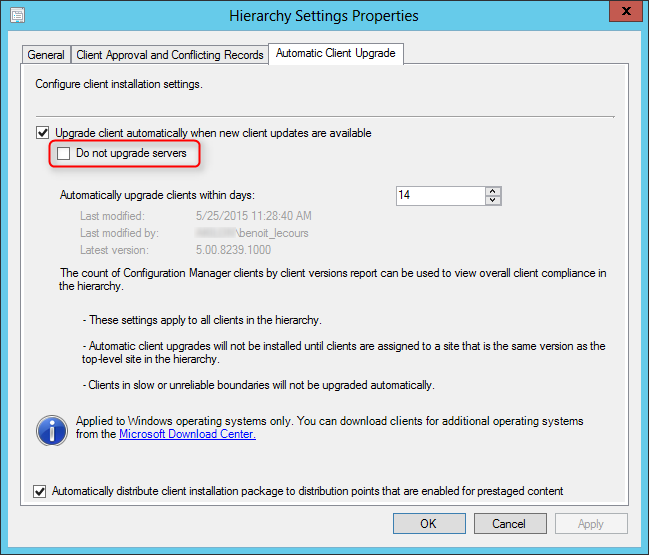 You can now exclude servers from automatic client upgrade. This is self-explanatory and it’s a nice addition for upgrading your clients. 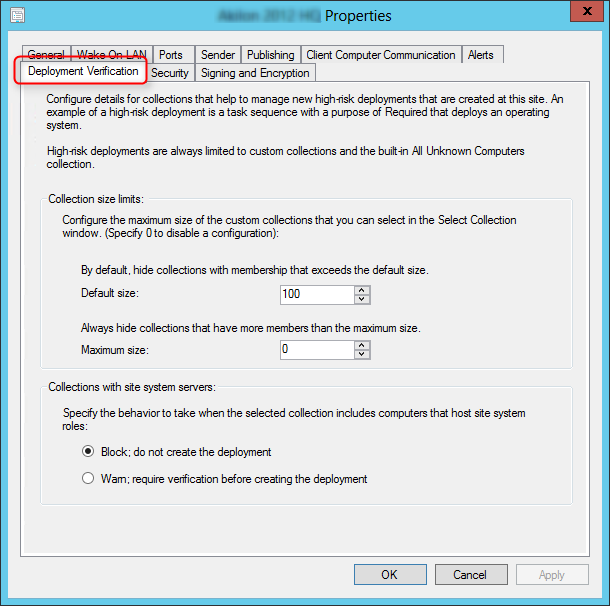 Did you ever deployed a required task sequence to the All Systems collection? I hope not, Deployment Verification will help avoid human mistakes by defining a risky OS deployment. 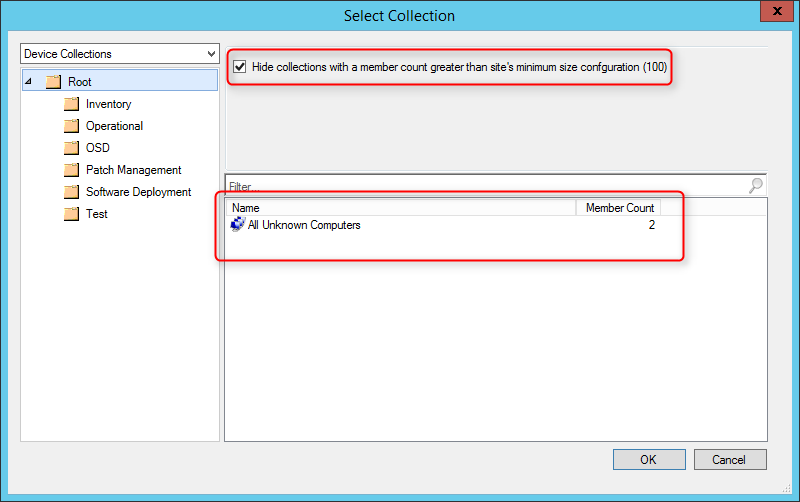 You define a maximum size of a collection to be displayed/hidden when creating Task Sequence deployments. 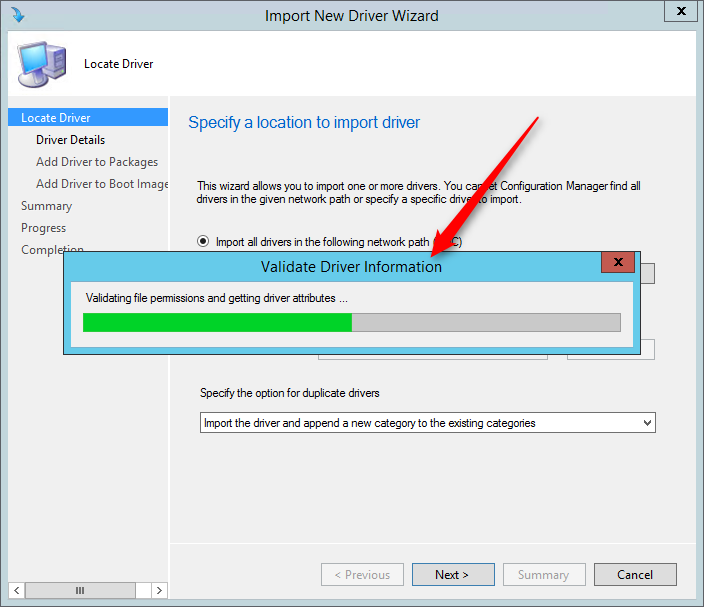 This feature only applies to Operating System deployment and it’s not possible for Packages and Applications. 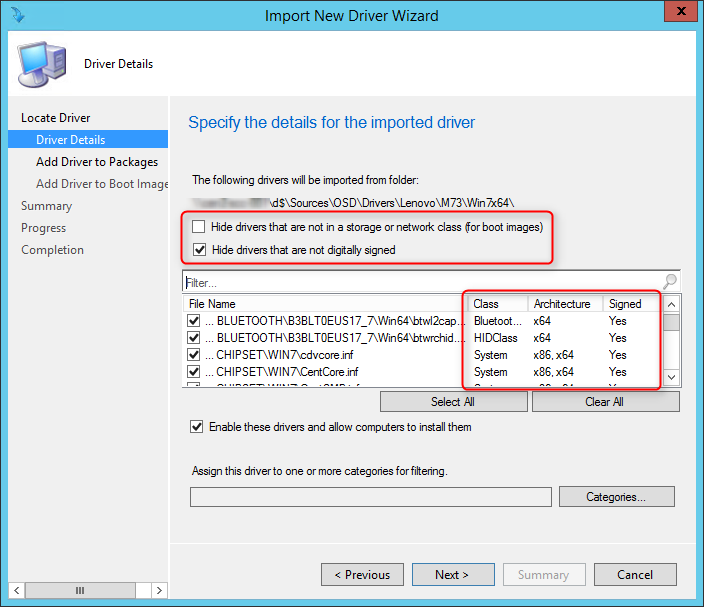 In order to improve driver management, the Import Driver wizard has a new validation phase and new filters were created to hide certains drivers. Note that this is painfully slow. I’ve tested this in 3 environments and enumerating my drivers takes up to 5 minutes. There’s a Connect Bug filled for this, upvote it if you’re having the issue. When adding drivers to boot images, you have the same filters which allows to hide non storage/network drivers and hide drivers that do not match the architecture of the boot image. The grid view gives a much more comprehensive view without having to click each drivers to see their details. There’s so many new functionalities and changes in SP1 that we will create a blog post just for that. 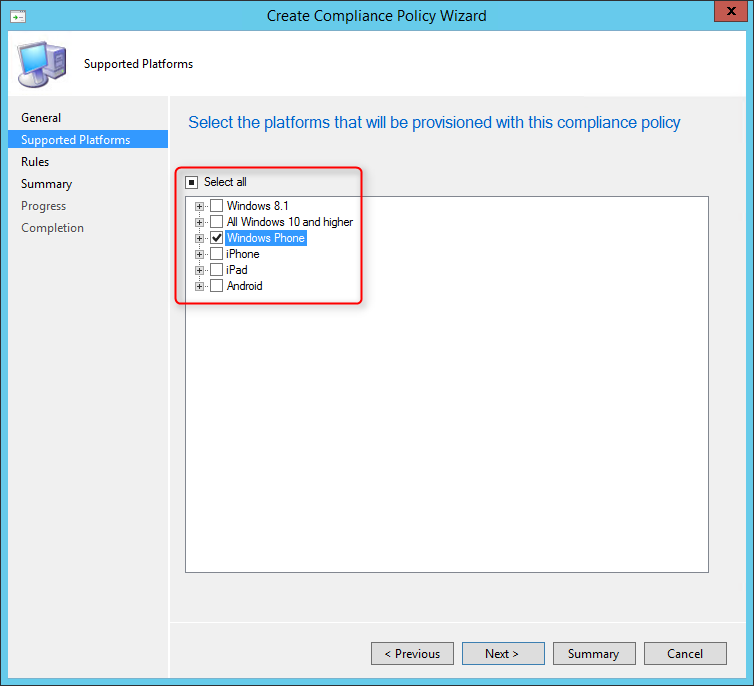 In this post we decided to talk about the Compliance Policy feature. 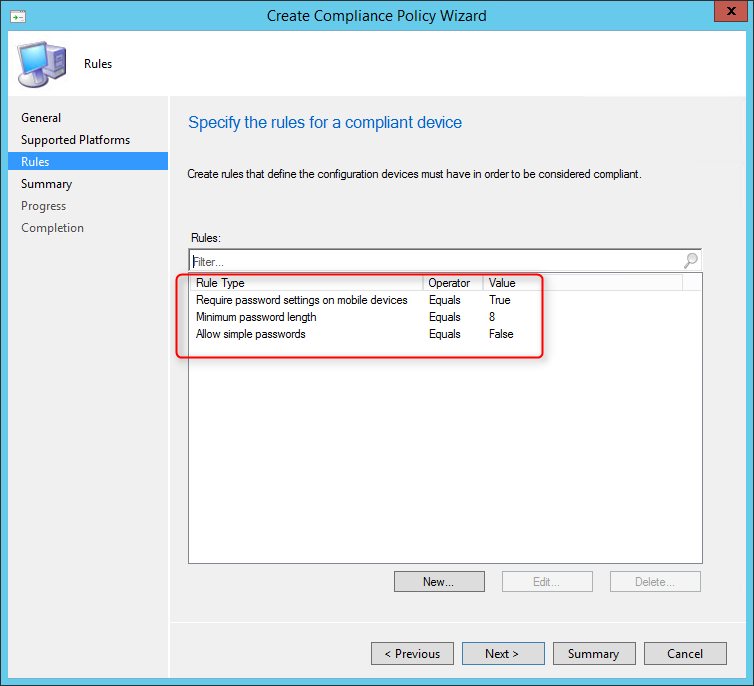 In short, Compliance Policy is Desired Configuration Manager for mobile devices without remediation possibility. 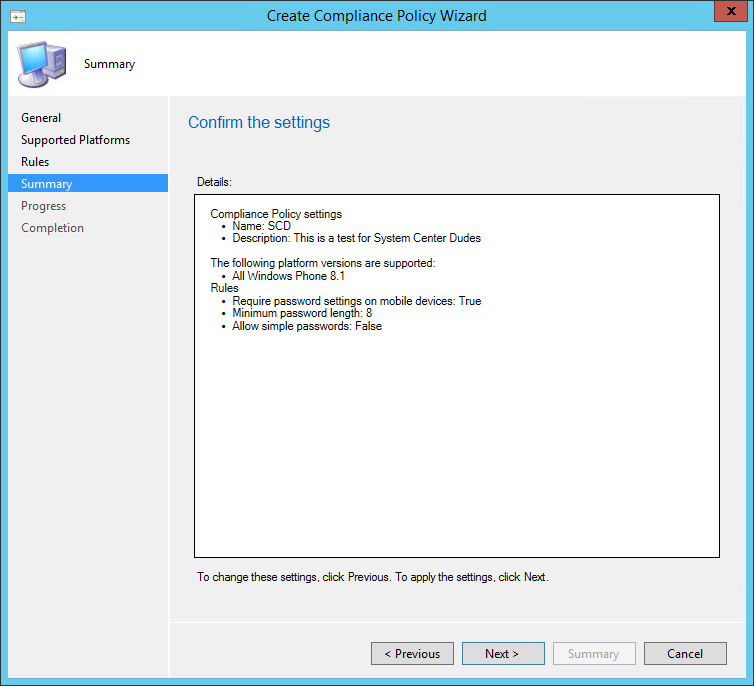 Yes, you could already do DCM for mobile before SP1 but Microsoft decided to implement it as a new feature in SP1. Maybe a long term plan is to remove all mobile platform from DCM but that’s just speculation. 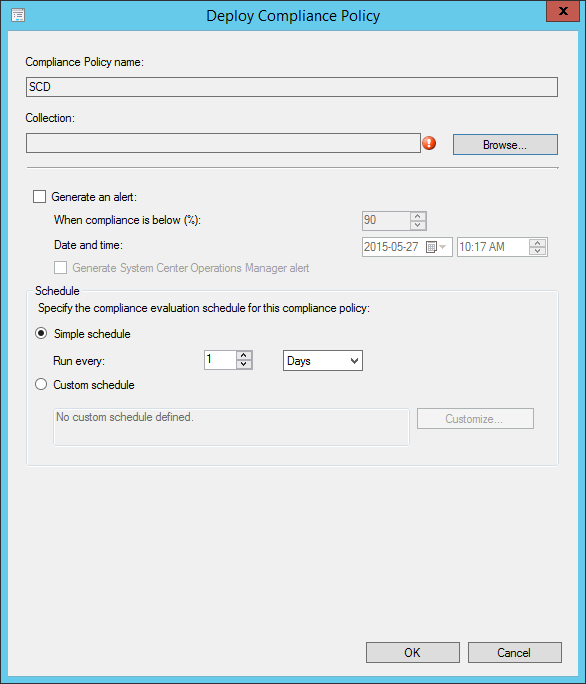 A major difference of Compliance Policy compared to DCM is that you don’t need to create a Configuration Baseline in order to deploy it. 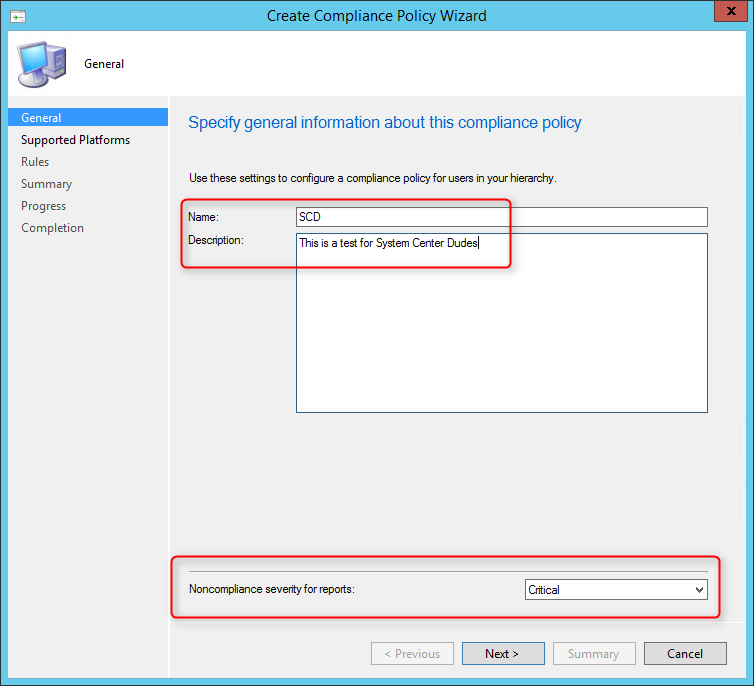 You create the Compliance Policy and you deploy it. Simple as that. There still tons of new features that we’ve not covered in this blog post. We’re still playing with mobile devices features and we’ll certainly make a part 2 post covering thoses. That’s it for now, what’s your favorite SP1 feature ? I have a parent domain along with 4 child domains. 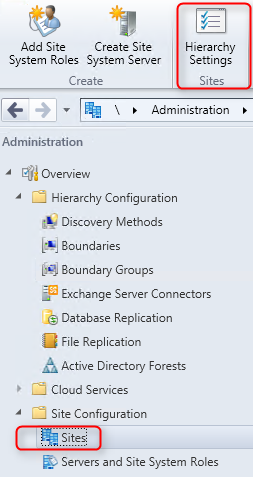 Do I need to install a management point in each child domain if the parent domain has one? Regarding Preferred Management Points… My MPs manage several regional offices, each regional office has their own DP. My MPs are also DPs for their respective locations. When adding Site System servers to the Boundary Groups, there’s no way to select the specific roles the groups prefer from the Site Systems. So my question is… how do I know that the regional clients are going to use their local DP when I also have the MP, which is also a DP, added as a site system for them? Does it select the Site Systems in the order they are listed? So, if I have the regional DP on top, it picks that as the DP while preferring the assigned MP?